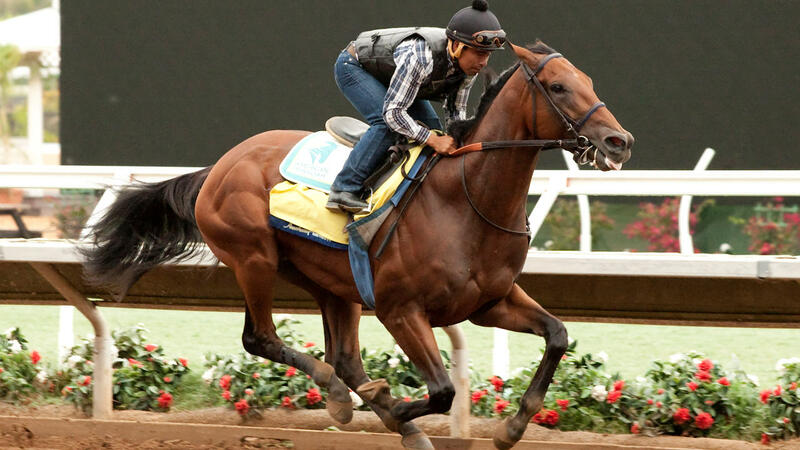 NEW YORK (WABC) -- What's it like to ride a Triple Crown winner? Exercise rider Martin Garcia rode American Pharoah's half mile workout at Del Mar on Tuesday wearing a GoPro helmet cam. American Pharoah will compete in $1.75 million Haskell Invitational at Monmouth Park this Sunday for the first time since winning the Belmont Stakes and capturing the Triple Crown in June. This video was taken the new GoPro Spherical, which is essentially a cube containing 6 cameras that capture the action in 360 degrees. You can see what the jockey cannot by using your mouse or the ASWD keys to move around while viewing. NOTE: You must view in the Chrome browser for the full 360 experience.